This post is adapted from the blog of Business Student, a Priceonomics Data Studio customer. Does your company have interesting data? Become a Priceonomics customer. 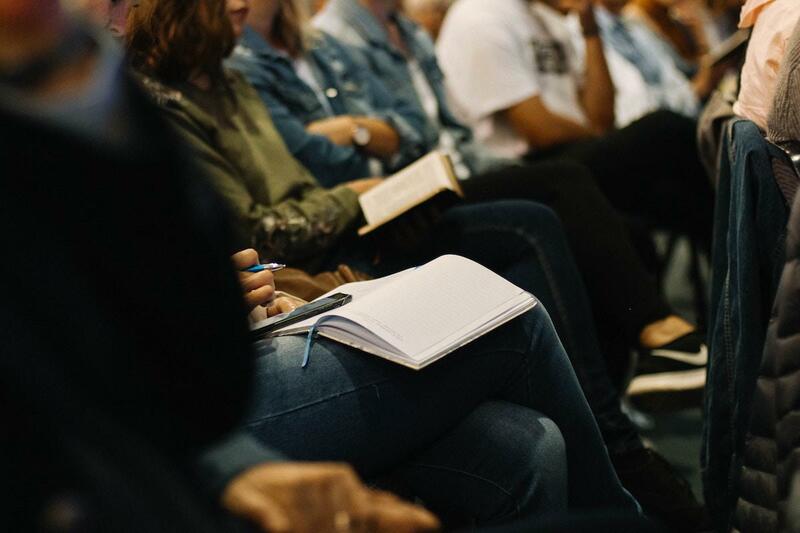 We analyzed data from Priceonomics customer BusinessStudent.com who assembled admissions rates from top schools in 2006 and compare them to twelve years later in 2018. 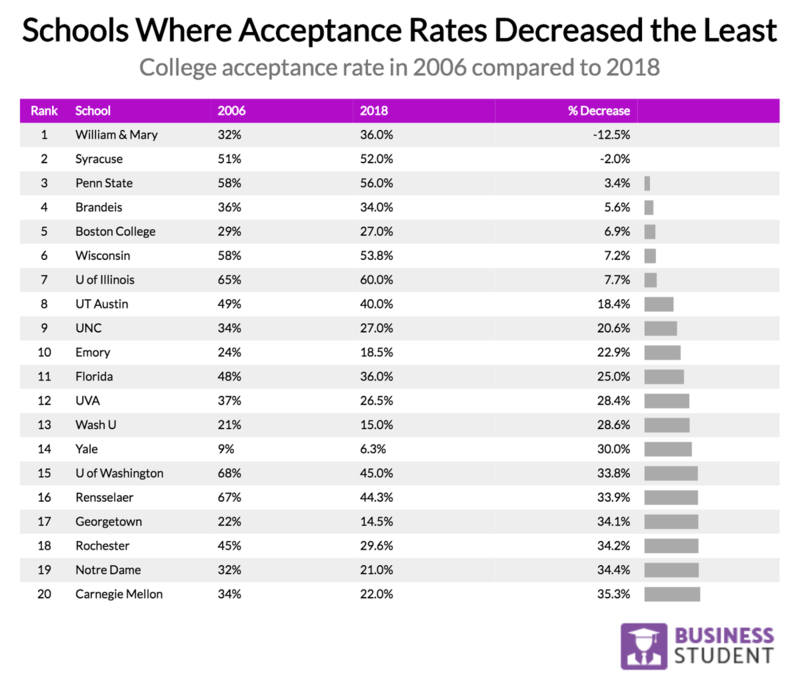 We restricted our analysis to just the top schools in the United States a decade ago (the top 51according to US News back then) to see how their admissions rates changed. 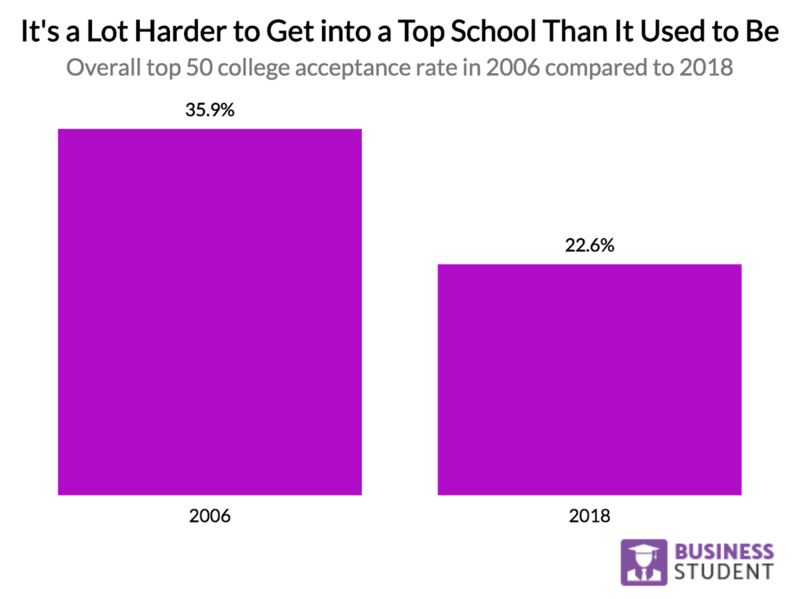 Yes, it’s much harder to get into a top school today than it was in 2006 and admissions rates have plummeted across the board. 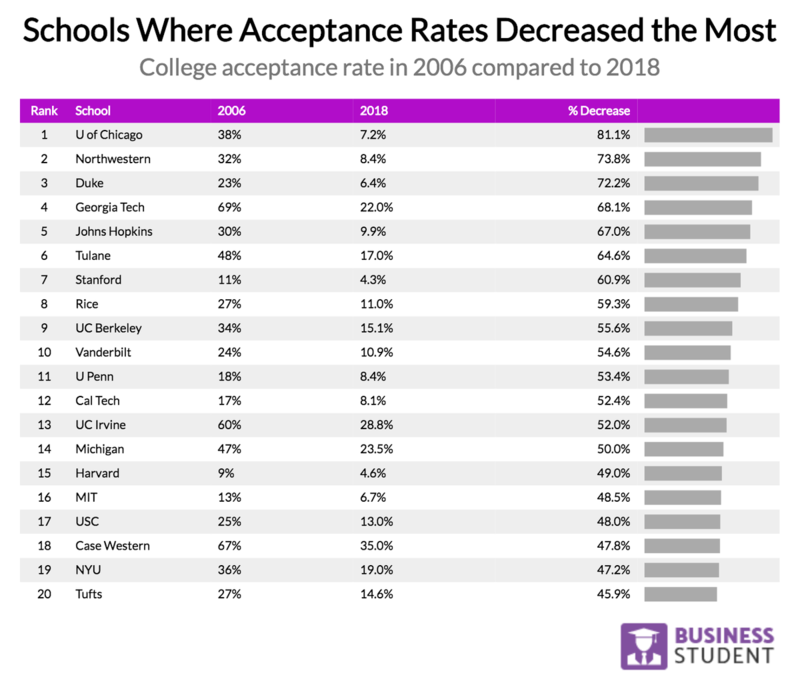 The school that’s had the sharpest drop in acceptance rates is the University of Chicago, followed by Northwestern and Duke. Of the 51 schools we looked at, 49 schools were more difficult to get into, but 2 actually had higher admissions rates. The data confirms there is some true to this notion.